Raymond Albert "Ray" Kroc (October 5, 1902 – January 14, 1984) was an American businessman. He joined the California company McDonald's in 1954, after the McDonald brothers had franchised 6 locations out from their original 1940 operation in San Bernardino. This set the stage for national expansion with the help of Kroc, eventually leading to a global franchise, making it the most successful fast food corporation in the world. 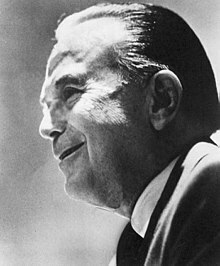 Kroc was included in Time 100: The Most Important People of the Century , and amassed a fortune during his lifetime. He owned the San Diego Padres baseball team from 1974 until his death in 1984. Hamilton Beach Brands Holding Company is an American designer, marketer and distributor of home appliances and commercial restaurant equipment marketed primarily in the United States, Canada, and Mexico, including blenders, mixers, toasters, slow cookers, clothes irons, and air purifiers. A&W Restaurants, Inc. is a chain of fast-food restaurants distinguished by its draft root beer, root beer floats and burgers. Its origins date back to 1919 when Roy W. Allen opened a walk-up root beer stand in Lodi, California. Allen's employee Frank Wright partnered with him and they founded their first restaurant in Sacramento, California, in 1923. The company name was taken respectively from the initials of their last names—Allen and Wright. The company became famous in the United States for its "frosty mugs," where the mugs would be kept in the freezer and eventually get filled with A&W Root Beer before they were served to customers. Joan Beverly Kroc, also known as Joni, was an American philanthropist. The third wife of McDonald's CEO Ray Kroc, she was also known for her involvement in the McDonald's organization. McMuffin is a family of breakfast sandwiches sold by the international fast food restaurant chain McDonald's. The Egg McMuffin is the signature sandwich, which was invented in 1972 by Herb Peterson to resemble eggs Benedict, a traditional American breakfast dish with English muffins, ham, eggs and hollandaise sauce. Sandy's was the name of a chain of American fast-food restaurants begun in 1956 by four business men from Kewanee, Illinois: Gus "Brick" Lundberg, Robert C. Wenger, Paul White and W. K. Davidson. In the mid-west, Sandy's was the ancestor of the Hardee's chain. Wetson's was an American fast food hamburger chain that existed from 1959 to 1975. At its peak, Wetson's had approximately 70 locations in the greater New York metropolitan area. Louis M. "Lou" Groen was an American entrepreneur, businessman, and lifelong resident of Cincinnati, Ohio. Groen invented the Filet-O-Fish sandwich in 1962. He invented the sandwich at his floundering McDonald's restaurant to satisfy his customers. At the time, most of his customers were Roman Catholic, who had to abstain from eating meat on Friday. The Filet-O-Fish, served with cheese and tartar sauce, is now served at McDonald's restaurants throughout the world. June Martino was an American businesswoman who became Ray Kroc’s bookkeeper in 1948 and ultimately rose to Corporate Secretary, Treasurer, Director and part-owner of McDonald’s Corporation. Wimpy is the brand name of a multinational chain of fast food restaurants. The brand is currently headquartered in Johannesburg, South Africa. The chain originally began in 1934 in the United States and was based in Chicago. The brand was introduced to the United Kingdom in 1954 as "Wimpy Bar". Wimpy grew to approximately 1,500 locations in several countries before narrowing to a few hundred locations in two to three countries. Wimpy's worldwide headquarters was located in the United States and the United Kingdom before relocating to South Africa. El Camino Memorial Park cemetery is located at 5600 Carroll Canyon Road in the Sorrento Valley neighborhood of San Diego. Founded in 1960, El Camino is a 220-acre (0.89 km2) memorial park and is the final resting site for Jonas Salk, as well as several members of the well-known Kroc family. 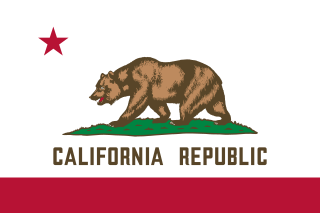 There are many other prominent citizens from the greater San Diego and Los Angeles area as well. The hamburger most likely first appeared in the 19th or early 20th century. The modern hamburger was a product of the culinary needs of a society rapidly changing due to industrialization, the emergence of the working class and middle class and the demand for mass-produced, affordable food that could be consumed outside of the home. Henry's Hamburgers is a former American fast-food restaurant chain of the 1950s, 1960s, and 1970s. 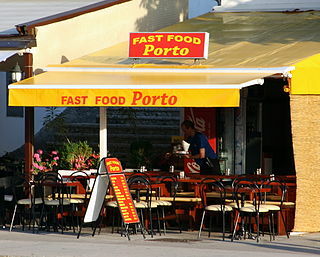 Only one franchise store remains today. The oldest operating McDonald's restaurant is a Sit-in hamburger joint at 10207 Lakewood Boulevard at Florence Avenue in Downey, California. It was the third McDonald's restaurant and opened on August 18, 1953. It was also the second restaurant franchised by Richard and Maurice McDonald, prior to the involvement of Ray Kroc in the company. The restaurant is now the oldest in the chain still in existence and is one of Downey's main tourist attractions. Along with its sign, it was deemed eligible for addition to the National Register of Historic Places in 1984, although it was not added because the owner objected. ↑ "Ray Kroc" (Fee, via Fairfax County Public Library). Newsmakers. Biography In Context. Detroit Michigan: Gale. 1985. Gale Document Number: GALE|K1618001946. Retrieved June 12, 2011. 1 2 Cicarelli, James (2003). "Ray Kroc" (Fee, via Fairfax County Public Library). In Arnold Markoe and Kenneth T. Jackson. Scribner Encyclopedia of American Lives, Thematic Series: Sports Figures. New York: Charles Scribner's Sons . Retrieved June 12, 2011. CS1 maint: Uses editors parameter (link) Gale Biography In Context. 1 2 3 4 Pace Eric (January 15, 1984). "Ray A. Kroc dies at 81. Built McDonald's Chain". The New York Times . Retrieved June 12, 2011. 1 2 Lisa Napoli (2016). Ray and Joan: The Man Who Made the Mcdonald's Fortune and the Woman Who Gave It All Away. p. 28. ↑ Anderson, Ray Kroc ; with Robert (1987). Grinding it out : the making of McDonald's (St. Martin's paperback ed.). [New York]: St. Martin's Paperbacks. p. 19. ISBN 978-0312929879. ↑ Encyclopaedia Britannica, Inc. (October 1, 2008). Britannica Guide to 100 Most Influential Americans. Encyclopaedia Britannica, Inc. pp. 342–. ISBN 978-1-59339-857-6. ↑ Neil Snyder (June 15, 2010). Vision, Values, and Courage: Leadership for Quality Management. Simon and Schuster. pp. 133–. ISBN 978-1-4516-0252-4. ↑ Schlosser, Eric (2002). Fast Food Nation: The Dark Side of the All-American Meal. New York, NY: Harper Collins Publishers. ISBN 978-0-395-97789-7. ↑ Love, John (1995). McDonald's: Behind The Arches. New York: Bantam Books. pp. 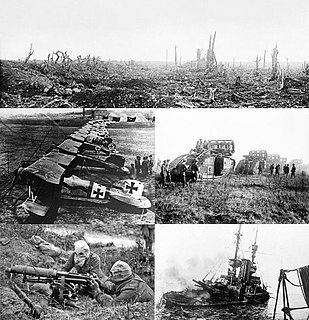 57–60. ISBN 978-0-553-34759-3. ↑ Kroc (1977). Grinding It Out. p. 123. ↑ Gilpin, Kenneth N. (1998-07-16). "Richard McDonald, 89, Fast-Food Revolutionary". The New York Times. ISSN 0362-4331 . Retrieved 2017-10-21. ↑ Chandler, Bob (2006). Bob Chandler's Tales from the San Diego Padres. Champaign, IL: Sports Pub. p. 71. ISBN 9781596700246 . Retrieved February 10, 2015. 1 2 Chandler 2006, p. 73. 1 2 3 Lockwood, Wayne (October 2, 1984). "Ray Kroc's dream finally materializes". The San Diego Union. p. Baseball-12. ↑ Chandler 2006, pp. 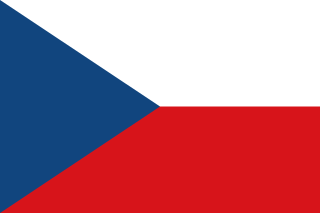 74–76. ↑ Bock, Hal (August 27, 1979). "Miller Presaged Kroc Escapade". Lawrence Journal-World. Associated Press. p. 14. Retrieved February 10, 2015. ↑ "Ray Kroc, San Diego Padres Owner and Man who Built McDonald's". Misc. Baseball. 1 2 Pompilio, Natalie (12 October 2013). "Joan Kroc, Unconventional Philanthropist". Legacy.com. Retrieved 11 January 2018. ↑ Novak, Ralph (19 May 1975). "The McDonald's Man: What Ray Kroc Hath Wrought Around the World". People. Retrieved 18 July 2017. ↑ Harris, Scott. "Dismayed by Nuclear Arms Race : McDonald's Fortune Fuels Joan Kroc's Peace Effort". Los Angeles Times. Retrieved January 24, 2017. ↑ Sullivan, Paul (20 January 2017). "Kroc's Giving, Like McDonald's Meals, Was Fast and Super-Sized". The New York Times. Retrieved 11 January 2018. ↑ "Ray Kroc". nndb.com . Retrieved October 12, 2008. ↑ The Bulletin. J. Haynes and J.F. Archibald. 2004. ↑ Franchise Times. Restaurant Finance Corporation. 2005. ↑ Taunton, Paul (11 August 2016). "Head honcho Ray Kroc was a bully, and other things we learned from Grinding It Out: The Making of McDonald's". National Post. ↑ Lapin, Andrew. 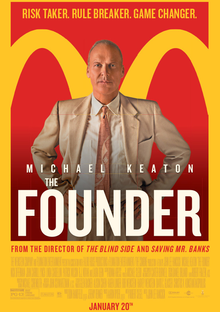 "'The Founder': Michael Keaton Brings A Ruthless Ray Kroc To Life, With Relish". NPR. Retrieved January 25, 2017. Love, John F. (1986). McDonald's: Behind the Arches . Retrieved June 12, 2011. Mattern, Joanne (2011). Ray Kroc: McDonald's Restaurants Builder. ABDO. ISBN 978-1-61613-559-1 . Retrieved June 12, 2011.